Facebook is the second most viewed site worldwide. No doubt it is the darling of marketers. They love this platform to promote new products and services. With nearly 500 million active users from families and friends worldwide Facebook has added a new dimension to global marketing strategy. Fan Pages of Facebook are primarily used by businesses and services to reach out to their customers and brand positioning. Facebook Fan Pages are popularly referred as Pages (note the capital P) and it is different from the Profile created by individuals and Groups formed among users with similar interests. Profiles of Facebook are hidden behind login, Pages are public. Pages are capable of sending messages and updates to users about new products or services. Crafting a Page is simple and the service is free. Just add some content, links, your logo and you’re ready for the launch. Millions of people are becoming fans of different Fan Pages every day. The growth is organic like the chain growth of Facebook. Competition among Fan pages are getting hotter and better. As such, it has become imperative to create smartly designed Page to win over more fans. This can be done by customizing user experience of a Fan Page. As a promoter you may hire a developer or venture alone with primary knowledge of HTML. Here are some tips to help you design a smart Facebook Fan Page. Similar to profile picture of Facebook you get only 200×600 pixels for positioning logo or brand of your product, service or company. No background images are allowed like MySpace or Twitter. It is recommended that you take full advantage of this 200×600 space and ensure that the desired image is displayed prominently. The graphics on Page offer the prospective fans a feel about the target audience and organization. Ensure that the graphics aptly represents the business or service for appealing to right type of people. Fan Page of a company selling sports accessories should have a different feel and look than a Page promoting designer jewelries. Search Facebook and locate “Static FBML” (Facebook Markup Language). On the upper left portion look for “Add to my page” and click it. A pop over appears with a list of Pages that are administered by you. Select the Page that you intend to customize by clicking on “Add to page” button next to Page. Click “Close”. Crating your tab is the next step. This can be done by going to your Page and clicking on “Edit Page” option on upper left portion of Page. After clicking on “Edit Page”, you can scroll down to the sub section FBML. Click on Applications Settings of that sub-section and a pop over dialogue box appears. Click on ‘Add’ and OK in succession. A blank Tab known as FBML has been added to your Page and it is ready to be customized. For adding content to the custom tab click on the Edit Page appearing on the left below the Page image. Scroll down to FBML sub-section and click on Edit link. This will take you to a simple format with box shaped “Title” field and an “FBML” field. This is the canvas for adding your content. You may start by changing title of the tab. When you add the tab its title is FBML by default. Depending on the purpose and nature of Page you may rename the page as “Introduction” or “Welcome”. The blank FBML field is fit for any basic HTML. In addition to basic HTML simple FBML tags can be added for simplifying the process. FBML is the markup language designed specifically as shortcut for Facebook applications. It can be a great way to reduce the HTML amount while maintaining the feel and look of Facebook. If you are familiar with XML and HTML you can easily pick up with FBML. Depending on the reason of page creation you can include latest news, start competition or polls and provide link to related websites. When the Page is used for promoting product or an organization it is essential to include contact information and place it in easily accessible place. After you have taken the pain to customize the new tab you may like to set the Page default to this tab. By doing this you can welcome your prospective fans and provide them with updated content. This can be done by going to the Edit page, scrolling down to “Wall Settings” click the “edit” button and under “default landing tab for everyone else” select the newly customized tab. from the drop down. Done! This tab is visible as default landing page to those who are not yet fan of your Page. Page created by you is visible to search engines. While customizing the landing page you should remember that major search engines can view the page as it is viewed by someone who is not yet fan of the Page. Facebook Page titles are found to be ideal for creating a search engine friendly title of your brand. Make the title descriptive and think of what your target group will be searching for landing on your page. This should be preferably similar to other Facebook users. They will see this in the news feeds as their friends become fan of your Page. Page name can’t be changed once it has been created. As such, you have to hit the bull’s eye with very first hit. Networking or linking from other social platforms like MySpace helps in building a large following. Most often a prospective fan or customer stumbles upon a Page through a friend or from a social hub. Funneling target customers is possible when different social platforms are connected with a Page. When you have grown as a popular brand and received a considerable fan following it is time to provide your fans with some bonus. Offer resources or information that is pertinent to their interest. A large company selling computers to small businesses may consider setting up a section in the Page offering top news and schemes offered to small businesses. Offering a resource page helps in building a loyal following. There are cases when a Facebook Page does not grow despite several attempts. 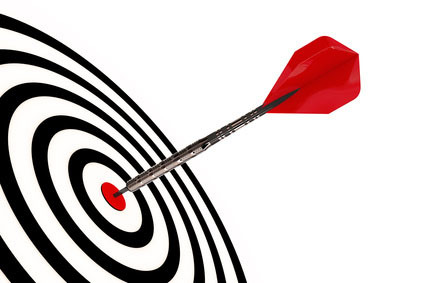 It is crucial to learn about the target demography and their presence on the web and Facebook. It helps in evaluating the viability of a Facebook Page. According to available statistics, Facebook is skewed towards female users. About half of the users have kids and their average salary is around $60k per year. Nearly half of the users are college students. This data keeps changing with large number of users being added every day. This type of data is very useful while planning design of Page. 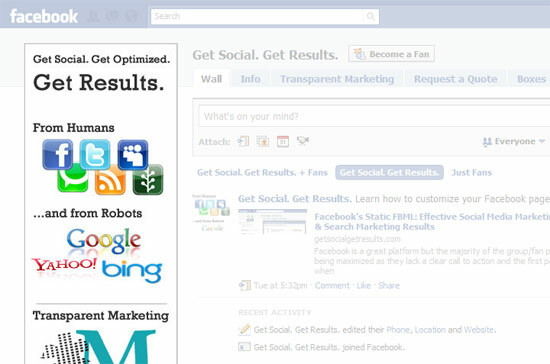 A get Facebook fans is a great place for promoting services or products and creating a brand identity. It has emerged as an effective platform to build a loyal consumer base. Several large and small businesses are increasingly realizing its importance and joining the foray. Fan Pages are easy to design and can be customized according to requirements of the promoter. I NEED HELP. I want to professionally have a facebook with everything accessible. Not savvy enough, even when I read. twitter, rss, webpage, facebook, youtube, etc. Rachel – I want it to REFLECT me!